Emeritus Professor Mel Waters is a freelance organist, pianist, conductor and vocal coach. He was formerly Director of Music and Principal Organist at Adelaide’s St Francis Xavier Cathedral, and more recently Director and Dean of the Melba Conservatorium in Melbourne. In February 2015 he retired from the position of Director of Music and Organist at St John’s Anglican Church Toorak. He has been Artistic Director of the Mietta Song Competition since May 2011.Mel was principal organist and harpsichordist with the Tasmanian Symphony Orchestra from 1996 to 2014, a position that he also held with the Adelaide Symphony Orchestra for more than a decade. He has performed with the Australian Chamber Orchestra, the West Australian Symphony Orchestra, Orchestra Victoria and at several International Arts Festivals. For many years he was Principal Conductor of the Adelaide Youth Orchestra, and an Assistant Conductor of the Adelaide and Elder Conservatorium Symphony Orchestras.Professor Waters has toured extensively as a soloist and conductor in the UK and Europe. 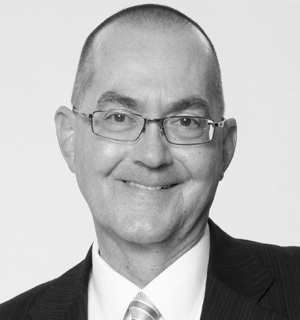 In 2008, as the founding Managing Director of the Melba Opera Trust, he visited several centres of excellence in the USA as a resident specialist in operatic studies.Now living on the Bellarine Peninsula, Mel is actively involved as Conductor of Orchestra Geelong and with advanced students at several local Colleges.  He is also a resident organist at St Mary’s Star of the Sea Sorrento, St Francis’ Church Lonsdale Street Melbourne and Scotch College Chapel in Hawthorn. Peter Coleman-Wright has performed in many of the world’s great opera houses including The Metropolitan Opera, New York (Falke, Belcore, Fieramosca in Benvenuto Cellini, and Marcello) and the Royal Opera House, Covent Garden (Dandini, Papageno, Billy Budd, Marcello, Ballad Singer in Paul Bunyan, Don Alvaro in Il Viaggio a Reims, Ping, Gunther, Donner and Beckmesser). For English National Opera he has sung Eugene Onegin, Don Giovanni, Scarpia, Rossini’s Figaro, The Traveller (Death in Venice), Billy Budd, The Forrester (Cunning Little Vixen), Michele (Il Tabarro), Dallapiccola’s The Prisoner, Henze’s The Prince of Homburg and Glanert’s Caligula. 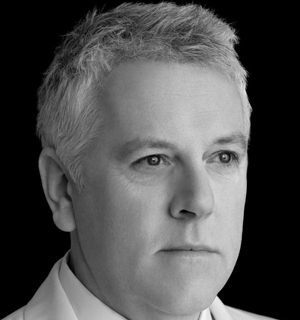 He created the roles of John in Jonathan Harvey’s Inquest of Love, and Colin in David Blake’s The Plumbers Gift. For Glyndebourne he has sung Guglielmo, Demetrius (A Midsummers Night’s Dream), Sid (Albert Herring) and Pizzaro (Fidelio).He sang Sharpless for the Paris Opera, Guglielmo and Count Almaviva in Bordeaux Opera, Don Giovanni and Count Almaviva in Munich, and Balstrode and Marcello in Geneva. For the Netherlands Opera he has sung Busoni’s Dr. Faust, Schaunard, and Chorebe (Les Troyens), for La Fenice Count Almaviva, he made his debut at La Scala, Milan in Death in Venice and has appeared at the Aix-en-Provence and Bregenz Festivals. His North American appearances include Houston Grand Opera (Rodrigo in Don Carlos, Sharpless, and Henry in Jake Heggie’s The End of the Affair), Santa Fe Opera (Sharpless), New York City Opera (Don Giovanni) and Vancouver Opera (Don Giovanni and Count Almaviva).In his native Australia he has sung Scarpia, Macbeth, Mandryka, Don Giovanni, Count Almaviva, Germont, Billy Budd, Balstrode, Pizzaro, Onegin, Golaud (Pelléas et Mélisande), and Sweeney Todd (winning the Helpmann Award for Best Actor in a Musical).He created the role of Harry Joy in Brett Dean’s Bliss, which was also performed at the Edinburgh International Festival.As a concert artist he has performed in the world’s major venues, most notably London’s South Bank and Barbican, Avery Fisher Hall, Wigmore Hall, Amsterdam Concertgebouw, Sydney Opera House and Melbourne Concert Hall. He has recorded extensively for Telarc, Chandos, Hyperion, and EMI.His engagements include Glanert’s Caligula at the Teatro Colon and in concert at the Concertgebouw Amsterdam with the Dutch Radio Filharmonisch Orkest, Death in Venice in Moscow under Rozhdestvensky, and Brett Dean’s Last Days of Socrates with both the Melbourne Symphony Orchestra (under Simone Young) and Los Angeles Philharmonic Orchestra (under Gustavo Dudamel.He was recently awarded an Honorary Doctorate from the University of Melbourne, and was awarded the Order of Australia in the 2015 Queen’s Birthday Honours. 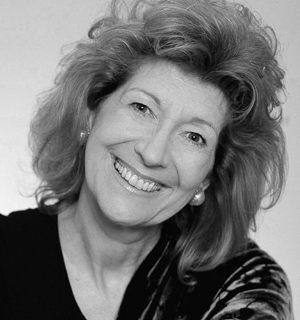 Dame Felicity Lott is one of Britain’s best-loved sopranos. In opera, her portrayals of the Strauss and Mozart roles in particular have led to critical and popular acclaim worldwide. Her concert engagements take her to the major orchestras, working with Rattle, Haitink, Mehta, Previn, Masur, Welser-Möst, Sawallisch and Sir Andrew Davis. Much of her concert and recital repertoire is recorded, as are many of her great operatic roles: from her wonderful Marschallin under Carlos Kleiber to her Belle Helene, with which she enchanted the Parisians when she sang the role for the first time at the Chatelet in Paris in 2000.A founder member of The Songmakers’ Almanac, Felicity has appeared on the major recital platforms of the world and in June 2005 she celebrated the 30th anniversary of her recital debut at the Wigmore Hall. A noted exponent of French song, she has been awarded the title Officier de l’Ordre des Arts et des Lettres and the Legion d’Honneur by the French Government. She was made a CBE in the 1990 New Year Honours and, in 1996, was created a Dame Commander of the British Empire. In February 2003 she was awarded the title of Bayerische Kammersängerin. Most recently shewas made Doctor Honoris Causa of the University Paris Sorbonne. 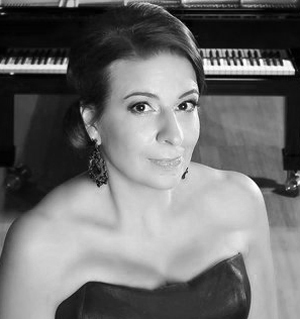 Melbourne-born pianist Caroline Almonte has won numerous awards, has recorded and produced for the ABC and, alongside her performance commitments, teaches piano at the University of Melbourne. She has performed in Europe, the US, China, Japan, Canada and South America, and at the Edinburgh Festival, Teatro Colosseo series, and major festivals in Australia. She has played under conductors Nicholas Braithwaite, Oleg Caetani, Reinhard Goebel, Hiroyuki Iwaki, Richard Mills, Benjamin Northey, Tadaaki Otaka, David Porcelijn and Markus Stenz. Her chamber partners have included, among others, Ralph Kirshbaum, Yvonne Kenny, Ian Munro, Li-Wei Qin, Merlyn Quaife and Miki Tsunoda, her partner from Duo Sol.